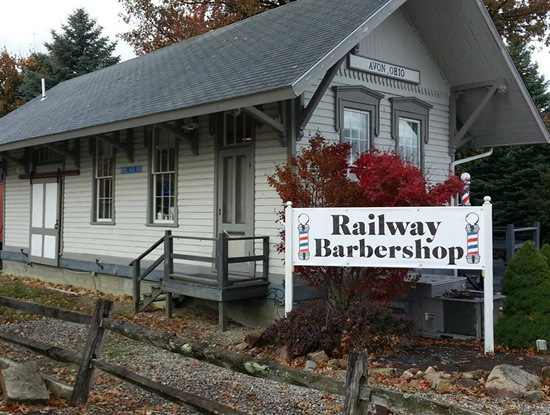 Ron Larson prides himself in moving and restoring old buildings to celebrate their history and give them a future. charming atmosphere of this restored 1850s century home. which is open 7 days a week. The Blackwell Barn, built around 1851, which is formerly known as the Ewers barn, is constructed of hardwood lumber harvested in central Ohio. The style of the barn is of German Dutch architecture and assembled in the fashion of that era. The Ewer Barn is an evening restaurant. 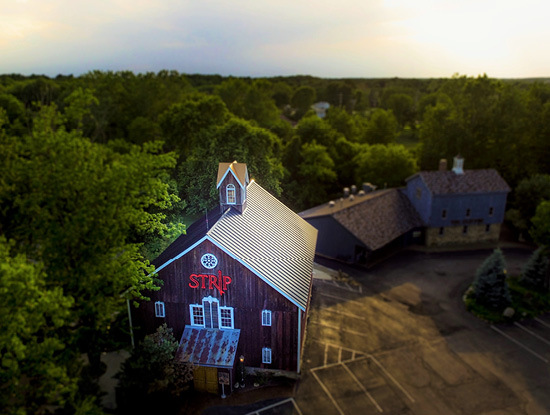 Strip Steak House offers customers the combination of the primitive atmosphere of this 1840s barn and the elegance of evening dining. Although the emphasis is on USDA prime beef, customers will be pleased to find a wide array of appetizers, salads and other non-beef selections. George Clifton came from England in the early 1830s. 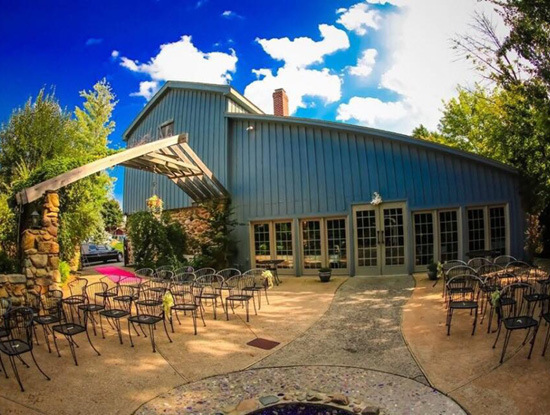 The Clifton barn was built in the early to mid 1840s and is available for private parties and catering events. 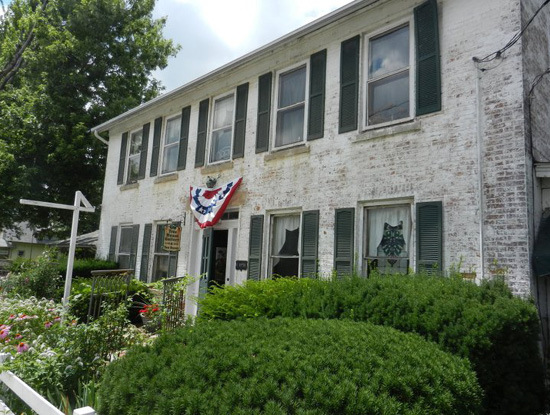 The original Jonathan Gibbs house, built between 1851 and 1857, was moved to Olde Avon Village in 1987 from Stoney Ridge Rd and is a Greek Revival-Style home. 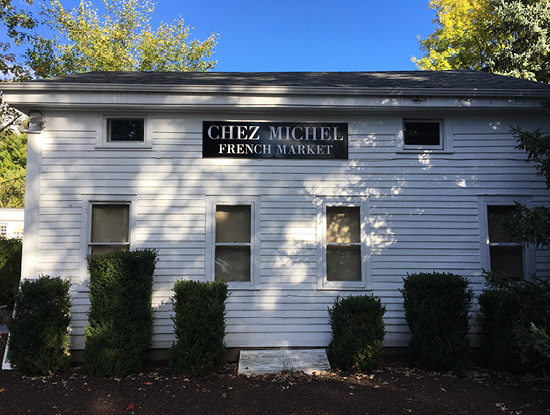 Chez Michel French Market offers a variety of French crafted desserts, coffee, cookies, local food artisans, gourmet chocolate, popcorn, meats and cheeses and so much more. 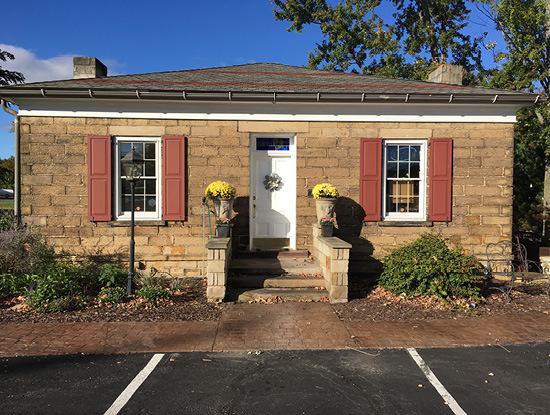 The Lewis House, built around 1843, is made from sandstone from the Amherst quarries and reputed to be the only pyramid- roofed stone house in Ohio. The Lewis house was moved from Center Road near Rt. 83 in August, 2002. The Lewis house is home to Details, an upscale gift shop and more.